Apple-backed Chinese ride-hailing giant Didi on Wednesday opened an artificial intelligence lab in Mountain View, Calif., where the firm will develop intelligent driving systems and AI-based transportation security. Didi's U.S. self-driving car facility represents a major expansion effort for the company, which has so far limited most of its physical operations within China, reports Recode. The new lab's location is also interesting. Mountain View sits between Palo Alto and Sunnyvale, and is just a stone's throw away from Apple's headquarters in Cupertino. 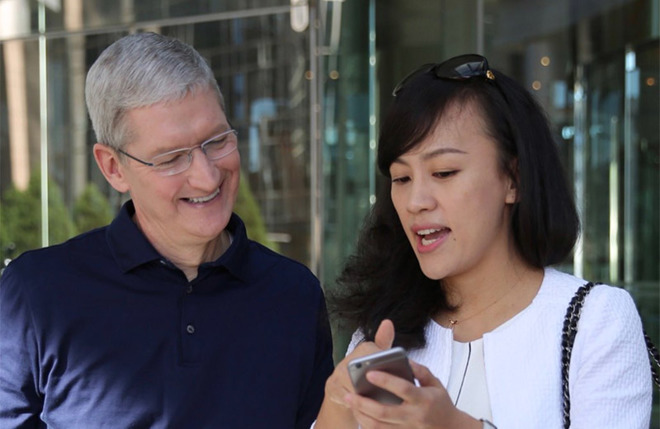 Though a direct connection between the self-driving lab and Apple has not been announced, Apple invested $1 billion in Didi last year. The investment, Didi's single largest at the time, marked a major shift for Apple, which traditionally opens its vast coffers only for low-profile acquisitions. "We are making the investment for a number of strategic reasons, including a chance to learn more about certain segments of the China market," Apple CEO Tim Cook said at the time. "Of course, we believe it will deliver a strong return for our invested capital over time as well." Staffing Didi's lab are a number of standouts in the robotics, AI and engineering fields. Charlie Miller, who is best known for remotely hacking a moving Jeep, was poached from Uber's self-driving team to lead Didi's security and safety development teams, the report said. Didi also poached staff from Google's Waymo self-driving car spinoff, including senior software engineer Jia Zhaoyin. Apple is working on its own self-driving vehicle under the name Project Titan, but the effort has been met with serious roadblocks over the past year. Rumors initially pointed to the development of a full-fledged branded car, but the initiative has since been greatly scaled down due to unforeseen setbacks. Following a round of layoffs, Apple's Project Titan team reportedly has until the end of 2017 to prove it can move forward on its own, or will need the help of a third-party automaker. Most recently, reports in October suggest Apple is turning its focus toward the software side of self-driving car technology, hiring away engineers from BlackBerry's QNX to develop augmented reality car navigation and other in-car technology.